Trending at $332.71eBay determines this price through a machine learned model of the product's sale prices within the last 90 days. 1991-1996 Chevrolet Caprice Base Sedan 4-Door Hood. 1991-1996 Chevrolet Caprice Base Wagon 4-Door Hood. 1991-1996 Chevrolet Caprice Classic LS Sedan 4-Door Hood. 1991-1996 Chevrolet Caprice Classic LTZ Sedan 4-Door Hood. Pontiac G8. Chevrolet Caprice Police Vehicle. Primary Hood Latch. Hood Primary Latch. OEM parts are made of Thick High Quality Materials and will fit your vehicle perfectly. We have more than 15 years of OEM parts experience. 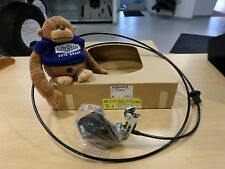 GENUINE GM 1994-1996 CHEVROLET IMPALA CAPRICE HOOD RELEASE CABLE ASSEMBLY WITH HANDLE. NEW OEM GM PART # 10259265. IF YOU HAVE A GM PARTS NEED THAT IS NOT LISTED, SEND US A NOTE AND WE WILL LIST IT FOR YOU. PART# 12390727. 1986-1990 CHEVROLET CAPRICE NOS FRONT BUMPER FILLER ONLY NEW OEM. CHEVY CAPRICE IMPALA SS 1991 1992 1993 1994 1995 1996 DUAL RAM AIR HOOD. NOTE: WE HAVE REDESIGN THIS HOOD TO MAKE THEM MORE DURABLE,EASIER TO INSTALL ,MORE SOLID PARTS,NICER LOOK, SHOW QUALITY. NOTE: TO INSTALL JUST PLACE IT FOR THE ORIGINAL HOOD AND SCREEW IT INTO THE FACTORY HINGES,do to the light weight may have to remove factory shocks to close properly or minor modification if you want to use the shocks. This listing is for a 1973 Chevrolet Caprice Front Header Panel. Item comes just as pictured. May work for other years. 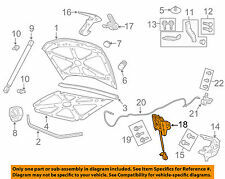 Please check out our other 1971 - 1976 Chevrolet Caprice/Impala parts for sale. We are parting out several 1971 - 1976 Chevrolet Caprice/Impala Convertibles as well and will be listing parts as they become available. If you are looking for something specific, please give us a call. Material: Steel. Stamp-die cut and went through 500 to 1000 hours salt spray test to ensure corrosion resistance. Backed by 1-year, unlimited-mileage warranty. FIND THE RIGHT PART FOR YOUR CAR. Overdrive has been in the automotive parts industry for over 15 years. We will not pass off a brown box or Delco as being GM. · Part is Defective: All GM Parts carry a one year warranty. It is very rare but does happen on occasion that a GM part is defective or goes defective. 1965-1967 Chevrolet Chevelle / Malibu / EL Camino. 1967-1969 Pontiac Firebird. 1967-1969 Chevrolet Camaro. 1965-1967 Chevrolet Bel Air / Biscayne / Impala / Caprice. Pair of Hood Hinges and Springs. These are an excellent quality reproduction of your often broken or worn out hood hinges. 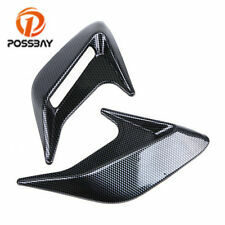 Color: Carbon Fiber Look (Not real carbon fiber). 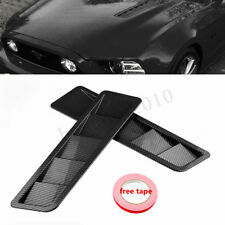 1 Pair Air Flow Vent Hood. This decoration can personalize and update your car, its stylish design gives your car a unique look. 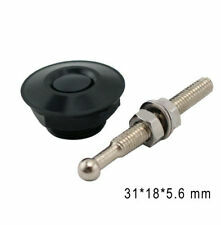 The air scoop is just for decoration, no substantial heat dissipation function. Hood Hinges - Pair. 1967 - 1969 Pontiac Firebird models. 1965 - 1967 Chevrolet Chevelle - Malibu - El Camino models. 1965 - 1967 Chevrolet Bel Air - Biscayne - Impala - Caprice models. 1970 - 1972 Chevelle - El Camino - Monte Carlo. 1970 - 1972 Chevrolet Chevelle - Malibu - El Camino - Monte Carlo models. 1970 Impala - Caprice. 1970 Chevrolet Impala - Caprice models. CHEVY CAPRICE IMPALA SS 1991 1992 1993 1994 1995 1996 NEW DESIGN Z1 STYLE HOOD. 1 COMPLETE HOOD BOLT ON. NOTE: WE HAVE REDESIGN THIS HOOD TO MAKE THEM MORE DURABLE,EASIER TO INSTALL ,MORE SOLID PARTS,NICER LOOK, SHOW QUALITY. CHEVY CAPRICE IMPALA SS 1991 1992 1993 1994 1995 1996 Z1 HOOD SCOOP INSERT. 1 HOOD SCOOP "not a complete hood, only hood scoop". NOTE: TO INSTALL JUST PLACE IT ON TOP OF THE ORIGINAL HOOD ON THE CENTER OR ANY PLACE YOU WANT THE HOOD SCOOP AND CUT THE HOOD. Hood Release Cable w/Handle . Huffines Chevrolet – family owned since 1924! There’s no need to guess if the part will fit, or to call a dealer who may or may not give you the correct part number – we are the source, and we’re here to help! Note: The vent only for decoration but not real air vent. 2 x Decoration air vent. Material: ABS plastic. Universal fit for most cars. Make your car looks more cool and distinctive. No tool required, clean the car surface before sticking. The GM parts book shows that the hood latch is correct for all 1967 Chevrolet Caprice,Impala,Belair,Biscayne and Station Wagon models. They all show minor scuffs and scratches in the finish from this and from being stacked together on the parts shelves. Universal Hood Louvers Panels can give you a customized appearance on the outside. 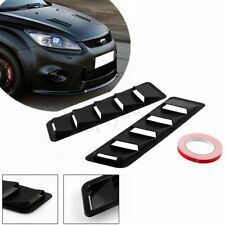 -Locate the heat-venting louvers in the most crucial areas of your hood to allow the largest amount of heat to be removed from your engine bay. If you have any reproduction steel hood (including the cowl Style) the use of 1969 Chevelle Hood Hinges are required to be used on any 1968 Chevelle application. Impala - Caprice - Chevelle - Malibu - El Camino. 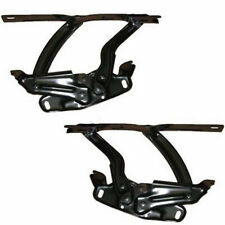 Top quality, reproduction Hood Latch Support for 66 Impala, Caprice, Biscayne & BelAir models. This hood latch support is the vertical bracket underneath the hood latch, which mounts on the body between the grill and radiator core support. These are original OEM hood hinges. They fit 1970-1972 CHEVELLE, MONTE CARLO, 1970 CHEVY PASS MODELS. This pair of hood hinges has been thoroughly rebuilt. When the rebuild/restoration process is complete, the hinges have a high quality finish and a smooth, tight operation - equal to or better than a new OEM part. NOTE: WE HAVE REDESIGN THIS HOOD TO MAKE THEM MORE DURABLE,EASIER TO INSTALL ,MORE SOLID PARTS,NICER LOOK, SHOW QUALITY. CHEVY CAPRICE IMPALA SS 1991 1992 1993 1994 1995 1996 SUPER SPORT HOOD. NOTE: TO INSTALL JUST PLACE IT FOR THE ORIGINAL HOOD AND SCREEW IT INTO THE FACTORY HINGES,do to the light weight may have to remove factory shocks to close properly or minor modification if you want to use the shocks. Chevrolet Caprice hoods play an important role when it comes to protecting your engine and other essential vehicle parts. However, hoods are also regularly exposed to harsh weather and road debris, which could result in damage. When looking for a replacement hood for your Chevy, there are several considerations that you should make. What materials are car hoods made of? Steel: The majority of vehicle hoods for the Chevrolet Caprice and other car models are made from this heavy and durable material. Aluminum: Like steel, aluminum is a durable material. However, it is also lightweight, and so there is no unnecessary weight holding your Chevrolet back. Carbon fiber: This material makes strong and durable hoods. Since it is lighter in weight than aluminum, some of the stress that the hood puts on your Chevy's engine is not there, giving vehicles with carbon-fiber hoods improved performance. Fiberglass: Replacement hoods made from fiberglass are able to be customized. Like aluminum and carbon fiber, fiberglass hoods are light in weight. What components make up a car hood? Inner panel: This is one of two panels that insulate the engine compartment of your Caprice. It is designed to reduce the amount of noise you may hear when driving. Outer panel: This second Caprice hood panel is what you see when you look at your Chevrolet sedan from the outside. It acts as a hood cover or skin. Hinges: Most replacement Chevrolet Caprice hoods have two hinges that allow you to lift the hood up. These components allow you to access the Caprice's engine compartment. Latch: This device is often a locking-arm that secures the hood and keeps it from opening up while you are driving. This latch must be pressed before the driver can lift the hood up. Release handle: This mechanism is what actually allows the latch on the Caprice replacement hood to be released. It is usually located inside the sedan. What types of car hoods are available? Flat: These hoods for the Chevrolet Caprice are flat pieces that do not provide any special features beyond engine and transmission protection. Louvered: These have thin, vertical openings on the sides for ventilation. Air extractor: They are similar to louvered hoods with the exception that the openings are a bit wider. Ram air: These hoods have a minimum of one air-intake opening, which helps to bring pressurized air into the Chevrolet's engine compartment. Cowl induction: The air-intake openings on these hoods face the windshield.